1. Engineering Economic Analysis by Donald G. Newnan – Jerome P. Lavelle – Ted G. Eschenbach. 2. Applied Statistics and Probability for Engineers by Douglas C. Montgomery – George C. Runger. 3. Manufacturing Engineering & Technology (7th Edition) by Serope Kalpakjian – Steven Schmid. 4. Machinery’s Handbook, 29th by Erik Oberg. 5. Manufacturing Processes for Engineering Materials (5th Edition) by Serope Kalpakjian – Steven Schmid. 6. Fundamentals of Modern Manufacturing: Materials, Processes, and Systems by Mikell P. Groover. 7. DeGarmo’s Materials and Processes in Manufacturing by J. T. Black – Ronald A. Kohser. 8. Statistical Quality Control by Douglas C. Montgomery. 9. Principles of Operations Management (9th Edition) by Jay Heizer – Barry Render. 10. Engineering Economy (16th Edition) – Standalone book by William G. Sullivan – Elin M. Wicks – C. Patrick Koelling. 11. Statistics for Engineers and Scientists by William Navidi Prof..
12. Fundamentals of Engineering Economics (3rd Edition) by Chan S. Park. 13. Project Management: A Systems Approach to Planning, Scheduling, and Controlling by Harold Kerzner. 14. Engineering Economy by Leland T Blank Professor Emeritus – Anthony Tarquin. 15. Engineering Statistics by Douglas C. Montgomery – George C. Runger – Norma F. Hubele. 16. Design and Analysis of Experiments by Douglas C. Montgomery. 17. Operations Management: Processes and Supply Chains (10th Edition) by Lee J. Krajewski – Larry P. Ritzman – Manoj K. Malhotra. 18. Basics of Engineering Economy by Leland T Blank Professor Emeritus – Anthony Tarquin. 19. Introduction to Emergency Management, Fifth Edition by George Haddow – Jane Bullock – Damon P. Coppola. 20. Simulation with Arena by W. David Kelton – Randall P Sadowski – Nancy B. Zupick Arena Requirements Analyst. 21. Systems Engineering and Analysis (5th Edition) (Prentice Hall International Series in Industrial & Systems Engineering) by Benjamin S. Blanchard – Wolter J. Fabrycky. 22. Engineering Economic Analysis by Donald Newnan – Ted Eschenbach – Jerome Lavelle. 23. Introduction to Materials Science for Engineers (8th Edition) by James F. Shackelford. 24. The Six Sigma Handbook, Fourth Edition by Thomas Pyzdek – Paul A. Keller. 25. Facilities Planning by James A. Tompkins – John A. White – Yavuz A. Bozer – J. M. A. Tanchoco. 26. Industrial Safety and Health Management (6th Edition) by C. Ray Asfahl – David W. Rieske. 27. Introduction to Probability and Statistics: Principles and Applications for Engineering and the Computing Sciences by J. Susan Milton Professor Emerita – Jesse C Arnold Professor Emeritus. 28. Human Factors In Engineering and Design by Mark S. Sanders – Ernest J. McCormick. 29. Introduction to Linear Regression Analysis by Douglas C. Montgomery – Elizabeth A. Peck – G. Geoffrey Vining. 30. Discrete-Event System Simulation (5th Edition) by Jerry Banks – John S. Carson II – Barry L. Nelson – David M. Nicol. 31. Statistics for Engineers and Scientists by William Navidi. 32. Schaum’s Outline of Engineering Economics by Jose A. Sepulveda. 33. Applied Statistics and Probability for Engineers by Douglas C. Montgomery – George C. Runger. 34. Factory Physics by Wallace J. Hopp – Mark L. Spearman. 35. Manufacturing Planning and Control for Supply Chain Management by F. Robert Jacobs – William Lee Berry – D. Clay Whybark – Thomas E Vollmann. 36. Shop Reference for Students & Apprentices by Christopher McCauley. 37. Contemporary Engineering Economics (5th Edition) by Chan S. Park. 38. Fundamentals of Engineering Economic Analysis by John A. White – Kellie S. Grasman – Kenneth E. Case – Kim LaScola Needy – David B. Pratt. 39. Safety and Health for Engineers by Roger L. Brauer – Roger Brauer. 40. Niebel’s Methods, Standards, & Work Design by Andris Freivalds – Benjamin Niebel. 41. Industrial Automated Systems: Instrumentation and Motion Control by Terry L.M. Bartelt. 42. Modeling Random Processes for Engineers and Managers by James J. Solberg. 43. Manufacturing Engineering and Technology (4th Edition) by Serope Kalpakjian – Steven R. Schmid. 44. Principles of Statistics for Engineers and Scientists by William Navidi Prof..
45. Process Technology: Safety, Health, and Environment by Charles E. Thomas. 46. Simulation with Arena by W. David Kelton – Randall Sadowski – Nancy Zupick. 47. Introduction to Manufacturing Processes by Mikell P. Groover. 48. 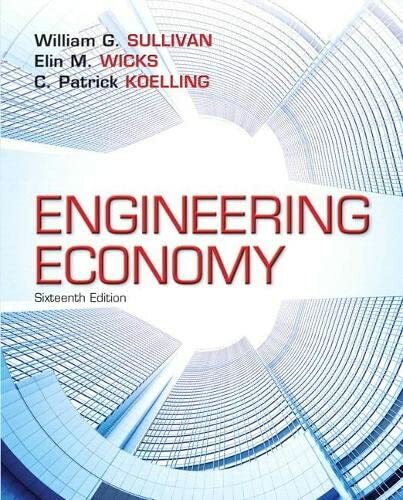 Engineering Economy (15th Edition) by William G. Sullivan – Elin M. Wicks – C. Patrick Koelling. 49. Creating a Lean Culture: Tools to Sustain Lean Conversions, Third Edition by David Mann. 50. Introduction to Operations Research with Student Access Card by Frederick S. Hillier – Gerald J. Lieberman. 51. Gemba Kaizen: A Commonsense Approach to a Continuous Improvement Strategy, Second Edition by Masaaki Imai. 52. Fundamentals of Modern Manufacturing: Materials, Processes, and Systems by Mikell P. Groover. 53. Operations Management: Processes and Supply Chains Plus NEW MyOMLab with Pearson eText – Access Card Package (10th Edition) by Lee J. Krajewski – Larry P. Ritzman – Manoj K. Malhotra. 54. Engineering Economy by William G. Sullivan – Elin M. Wicks – James Luxhoj. 55. Introduction to Manufacturing Processes by John A. Schey. 56. Machinery’s Handbook 29th Edition Guide (MACHINERY’S HANDBOOK GUIDE TO THE USE OF TABLES AND FORMULAS) by Erik Oberg. 57. Managing, Controlling, and Improving Quality by Douglas C. Montgomery – Cheryl L. Jennings – Michele E. Pfund. 58. Principles of Engineering Economic Analysis by John A. White – Kenneth E. Case – David B. Pratt. 59. Introduction to Process Technology by Charles E. Thomas. 60. Business Dynamics: Systems Thinking and Modeling for a Complex World with CD-ROM by John Sterman – John D. Sterman. 61. Optimization in Operations Research by Ronald L. Rardin. 62. Work Systems: The Methods, Measurement & Management of Work by Mikell P. Groover. 63. Engineering Economy Plus NEW MyEngineeringLab with Pearson eText — Access Card Package Format: Hardcover by Sullivan – William G.^Wicks – Elin M.^Koelling – C. Patrick. 64. Managing Engineering and Technology (6th Edition) by Lucy C. Morse – Daniel L. Babcock. 65. Simio and Simulation: Modeling, Analysis, Applications: Economy by Dr. W. David Kelton – Dr. Jeffrey S. Smith – David T. Sturrock. 66. Process Technology Systems by Michael Speegle. 67. Process Technology Troubleshooting by Charles E. Thomas. 68. Machine Tool Practices (9th Edition) by Richard R. Kibbe – Roland O. Meyer – John E. Neely – Warren T. White. 69. Programmable Microcontrollers with Applications: MSP430 LaunchPad with CCS and Grace by Cem Unsalan – H. Deniz Gurhan. 70. Foundations of Decision Analysis by Ronald A. Howard – Ali E. Abbas. 71. Introduction to Statistical Quality Control by Douglas C. Montgomery. 72. Introduction to Engineering and the Environment by Edward S. Rubin. 73. AutoCAD Tutor for Engineering Graphics: 2013 and Beyond (with CAD Connect Web Site Printed Access Card) (Autodesk 2013 Now Available!) by Kevin Lang. 74. Principles of Operations Management, Student Value Edition (9th Edition) by Jay Heizer – Barry Render. 75. Design and Analysis of Lean Production Systems by Ronald G. Askin – Jeffrey B. Goldberg. 76. Manufacturing Engineering & Technology (6th Edition) by Serope Kalpakjian – Steven Schmid. 77. Industrial Mechanics and Maintenance (3rd Edition) by Larry Chastain. 78. DeGarmo’s Materials and Processes in Manufacturing by E. Paul DeGarmo – J T. Black – Ronald A. Kohser. 79. Statistics for Experimenters: Design, Innovation, and Discovery, 2nd Edition by George E. P. Box – J. Stuart Hunter – William G. Hunter. 80. Technical Shop Mathematics by Thomas Achatz. 81. Project Management: Strategic Design and Implementation by David L. Cleland – Lewis R. Ireland. 82. Industrial Electricity by Michael E. Brumbach. 83. World-Class Warehousing and Material Handling by Edward Frazelle. 84. Engineering Economy: Applying Theory to Practice, 3rd Edition by Ted G. Eschenbach. 85. Student Solutions Manual Design and Analysis of Experiments, 8e Student Solutions Manual by Douglas C. Montgomery – Lisa Custer – Daniel R. McCarville. 86. Numerical Methods for Engineers: With Software and Programming Applications by Steven C. Chapra – Raymond Canale. 87. Process Technology Equipment and Systems by Charles E. Thomas. 88. Simulation Modeling and Analysis (Mcgraw-hill Series in Industrial Engineering and Management) by Averill M Law. 89. Construction Project Management: A Practical Guide to Field Construction Management by S. Keoki Sears – Glenn A. Sears – Richard H. Clough. 90. Manufacturing Process and Equipment by George Tlusty. 91. Engineering Economic and Cost Analysis (3rd Edition) by Courtland A. Collier – Charles R. Glagola. 92. Niebel’s Methods, Standards, & Work Design by Andris Freivalds – Benjamin Niebel. 93. Machinery’s Handbook 29th Edition – Large Print (Machinery’s Handbook (Large Print)) by Erik Oberg. 94. Process Technology Equipment and Systems by Charles E. Thomas. 95. Manufacturing Processes: Materials, Productivity, and Lean Strategies by J. Barry Duvall – David R. Hillis. 96. Plant Design and Economics for Chemical Engineers by Max Peters – Klaus Timmerhaus – Ronald West – Max Peters . 97. 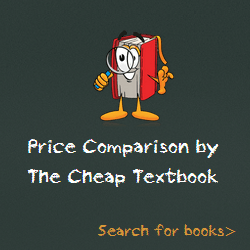 Contemporary Engineering Economics (6th Edition) by Chan S. Park. 98. Lean Supply Chain and Logistics Management by Paul Myerson. 99. AVR Programming: Learning to Write Software for Hardware by Elliot Williams. 100. Operations Management: Processes and Supply Chains, Student Value Edition Plus NEW MyOMLab with Pearson eText — Access Card Package (10th Edition) by Lee J. Krajewski – Larry P. Ritzman – Manoj K. Malhotra.